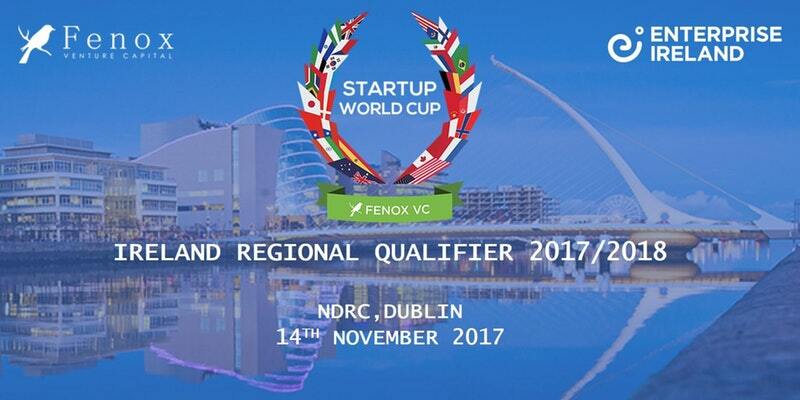 Ten Irish start-ups have been shortlisted for the Startup World Cup Regional Qualifier, sponsored by Enterprise Ireland. The global initiative developed by Fenox Venture Capital offers startups the opportunity to win $1 million funding at the global competition stage. The qualifying round of the world-wide competition will see the ten finalists battle it out via a live pitch, and will take place on Tuesday, 14th November at the NDRC in Dublin. Start-ups are encouraged to register to attend the event here. Companies at all levels of start-up across a myriad of industries and sectors applied in the first-round stage of the competition, with ten finalists selected to progress to the next stage. The regional final will demand a live pitch by each finalist before an expert judging panel including Joe Healy, Enterprise Ireland; Barry O’Brien, Silicon Valley Bank; Charlie Ardagh, Facebook; David Bowles, Delta Partners and Thomas Olszewski, Frontline Ventures. HireUp – helps HR departments increase employee engagement, and share job vacancies more effectively. ID-Pal – creates a simple and effective system for capturing, verifying and storing customer ID documents and information. Kastus – presents an entirely new scale of antimicrobial efficacy. OpenBack Smart Notifications – enables any app to deliver powerful personalized notifications. Exceedence Ltd – catalyses commercialisation and investment in the renewable industry. through an easy-to-use web platform. Solar AdTek – provides solar powered LED lighting systems for the illumination of outdoor advertising displays. Standard Access – builds robust solutions to solve the day to day challenges business face in managing secure access. Sanctifly – Aglobal members club that grants access to airport hotel gym, pool and spa facilities without having to book a room. Xunison Limited – high quality smart tech products: TV boxes, VR glasses, Smart Home Devices and Home Security System. The regional qualifier event will also feature a lively panel discussion on ‘The funding challenges Irish companies face when scaling internationally,’ with speakers including Joe Healy, Enterprise Ireland; Barry O’Brien, Silicon Valley Bank; Noel Ruane, Polaris Partners; Alessandro Prest, Co-Founder, LogoGrab; and Ryan Hamilton, Fenox Venture Capital, and is open to start-ups and entrepreneurs to attend. The Startup World Cup conference and final competition will take place in May 2018 in San Francisco, California and will see the top start-ups, VCs, entrepreneurs and tech CEOs from regional rounds across the globe compete against each other. Finalists will be asked to take part in a live pitch to some of the world’s leading entrepreneurs and business leaders to win the $1 million prize fund. Previous panel members include Steve Wozniack, co-founder of Apple and Alexis Ohanian, co-founder of Reddit. To attend the Regional Qualifying Pitch Night, register here.